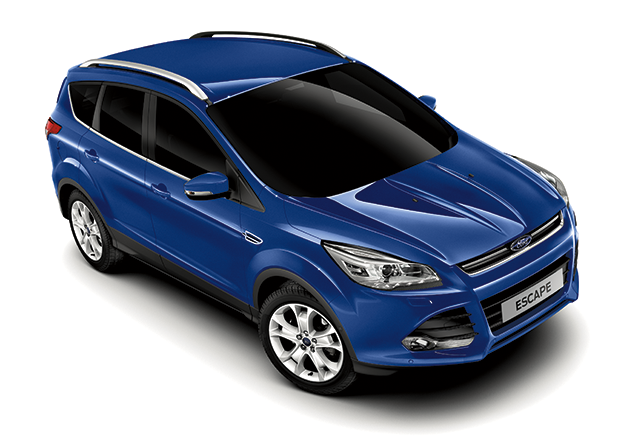 New Escape offers sophistication and effortless capability. It’s packed with clever technologies – such as keyless entry and keyless start, which lets you start your Escape with the key still in your pocket or bag. And, with a strong road presence, Escape is designed to help you make the most of your day – every day. INTRODUCING SYNC® 3 – our next generation of voice-activated technology with an easy-to-use new design and features. The easy-to-read color LCD touchscreen displays phone, audio and navigation(2) functions. High-speed performance lets you experience quick responses to your commands. A capacitive touchscreen includes a convenient swipe feature similar to your smartphone, as well as pinch-to zoom functionality within navigation. Enhanced voice recognition lets you talk with simple voice commands, and the system responds naturally to your voice. The easy destination entry feature within navigation(2) helps you locate your favorite restaurants, nearest ATM and more. All the while, automatic updates over Wi-Fi®3 let you keep SYNC 3 up to date with the latest software as soon as new updates become available. SYNC KEEPS YOU CONNECTED. Voice-activated SYNC technology helps you keep your eyes on the road and your hands on the wheel. Hands-free calling lets you make a call with a simple push of a button along with the sound of your voice. Automatic phone book download transfers the names and numbers in your compatible phone immediately once paired. Voice-activated search and music commands allow you to seamlessly request the music you want to hear, or say “Bluetooth® audio” to stream content directly from your phone. Escape excels as a driver’s car. You can choose from advanced petrol engines. The 2.5L iVCT provides effortless power and refinement. The 2.0L EcoBoost® incorporates direct fuel injection with turbocharging and variable valve timing to offer the performance of a large engine with the fuel efficiency of a small engine. Both Escape engines come with an automatic transmission. Strength in Depth. The standard Anti-Lock Brake System (ABS), Electronic Stability Control (ESC) and 7 airbags mean Escape is designed to help you steer clear of an accident, or, if a collision is unavoidable, to help minimize its potential consequences. Flowing lines – with bold new front grilles and a wider central hood dome – mean Escape is sure to turn heads. But great looks are just the beginning. In addition to the driver, Escape also provides ample seating for 4 more adults – plus there’s a spacious 456-liter luggage compartment to swallow up your belongings. And, when required, the split-fold rear seat folds flat to give you even more load-carrying ability. Adaptive Cruise Control Long drives are more relaxing with adaptive cruise control and collision mitigation because, once you have set your desired speed, it adjusts your speed if the vehicle in front is traveling more slowly, returning you to your previously specified speed once the way ahead is clear. Intelligent All-Wheel-Drive Every 16 milliseconds, the Intelligent All-Wheel-Drive System1 checks how much grip is available on the terrain you are driving across. It then transmits the optimum amount of torque to the front and rear wheels to help you avoid oversteer and understeer. BLIS (Blind Spot Information System) BLIS® with cross-traffic alert uses a light embedded in each sideview mirror2 to warn of traffic detected in blind spots as you’re driving forward, or traffic nearing either side as you’re slowly backing up. Wherever you drive, you can be confident that Escape is watching out for you.